It's only once a year. A very special date to remember the moment a person was born. An unforgettable day when parents happily welcomed us after months of waiting. People have different ways of celebrating their birthdays; from throwing a party, dinner date with friends, go for shopping or just having a vacation. 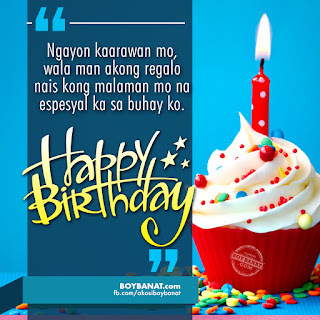 Sometimes, we don't just celebrate our birthdays for one day especially when we have a lot of friends and relatives to treat. This may mean you a lot of money to spend but the best part is your happy for another year of your life. 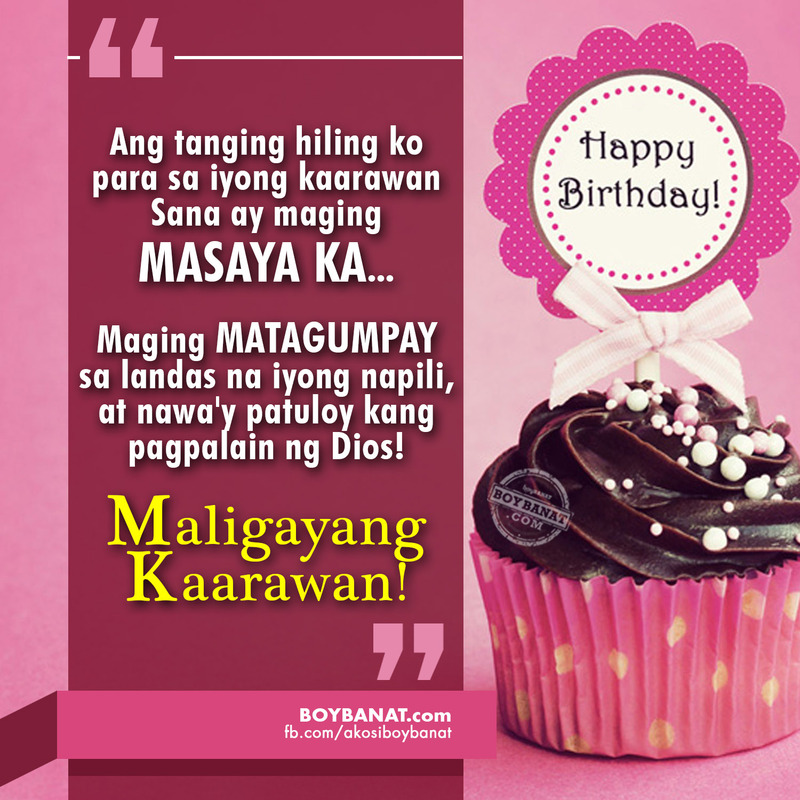 We all wish our loved ones not just happiness but also a joyfulness on their special day and on the years to come. We also pray for their success and good health and more blessings to received. You may not have a material gift to give them but you can let them feel how grateful you are to have them in your life. You can tell them that they are still wonderful after all these year. Wish them a joyous day ahead filled with warmest love and happiness. 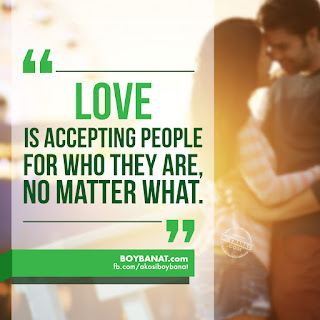 These words should be true from the bottom of your heart. Blowing out another candle should mean that you have lived another year of joy, and that you've made this world a better place. Make every day of your life and every candle count. Have a delightful Birthday! 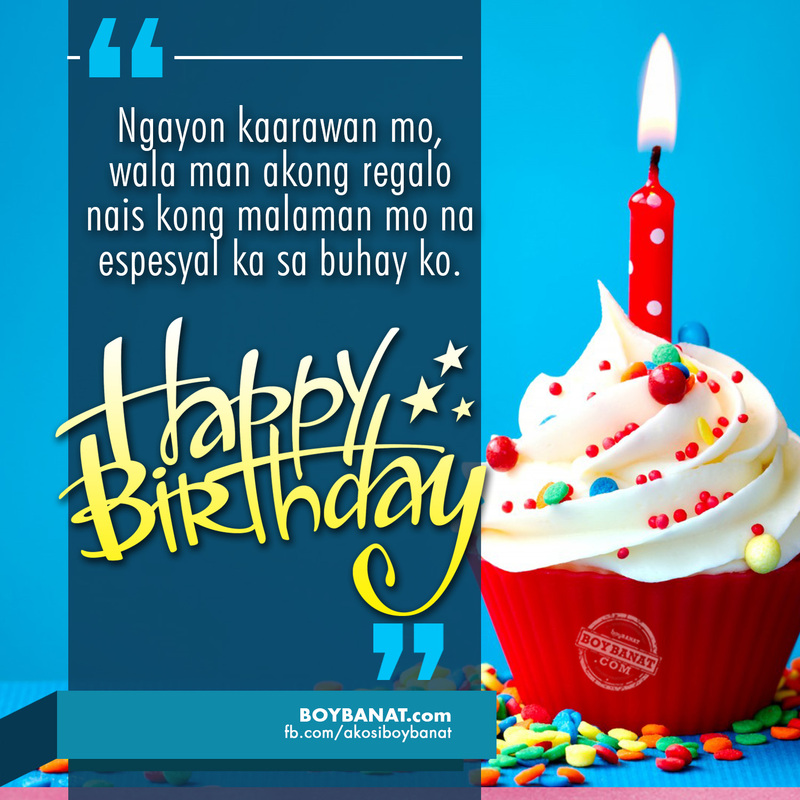 Don't forget to greet your loved ones on their birthday and send them your sincerest messages to warm their hearts. May this read help you in finding the best words to say. 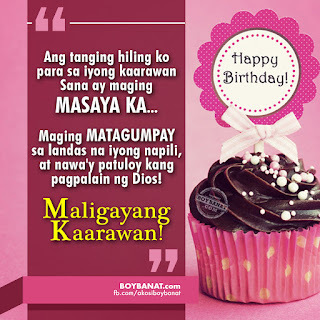 If you also have your own Tagalog Birthday Quotes and Sayings, please don't hesitate to share it here at www.boybanat.com and we will do our best to get back to you as soon as possible.